Fast, furious fun with the world’s flashiest racers. A cool car keyring. Over 80 stickers. Put your foot down and burn up that track. Are you ready to go totally mad about motors? It’s time to get your hands on the wheel. Collect full-throttle facts about top supercars. Check out the biggest breakthroughs in car history. 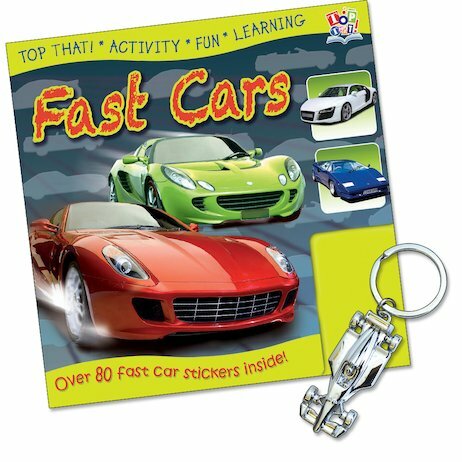 Impress your friends with your car keyring. See the world’s speediest vehicles in stunning colour snaps.